Tuberculosis is now above HIV as one of the deadliest infectious diseases in the world. The most recent World Health Organization (WHO) Global TB Report reveals some shocking statistics: each day, 4,900 people die from TB – which is more than three people every minute. 1.8 million people died from TB in 2015 – compared to 1.5 million in 2014; as such, it remains the biggest infectious disease killer worldwide. At the current rate of progress, the world is 150 years behind schedule to meet the WHO’s 2030 targets to reduce TB incidence and death. From Wednesday 26 October to Saturday 29 October, MSF will be in Liverpool, UK, attending the 47th Union World Health Conference on Lung Health. The organisation will be presenting programmatic data from across its TB projects – including on its use of the newest TB drugs (bedaquiline and delamanid), which are showing promising results. TB is curable, but an inadequate global response is allowing drug-resistant forms (DR-TB) to take hold. DR-TB forms are much harder to cure than drug-sensitive forms of TB. Standard TB drugs don’t work and the limited treatment available involves long, complex, toxic and expensive treatment regimens. In 2015, just 20 percent of people with drug-resistant forms of TB received the treatment they needed. Only 52 percent of patients with multi-drug resistant TB are successfully treated, and for patients with the most severe forms (extremely-drug resistant TB), successful treatment rate drops to just 28 percent. Putting in place optimised models of care and regulatory frameworks. MSF is one of the largest non-governmental providers of TB treatment care – including for DR-TB in the world. In 2015 the organisation had more than 20,000 TB patients on treatment, including 2,000 with DR-TB. As of October 2016, MSF, in partnership with national ministries of health, is treating patients in 12 countries with new drugs, in combination with older or repurposed drugs. MSF has since supported the treatment of over 1,000 patients with the new drugs bedaquiline and delamanid (both separately and in combination). At the same time, MSF is also piloting the use of shorter regimens of the old drugs, with patients receiving treatment for nine months rather than two years. MSF is running two clinical trials: TB PRACTECAL (with partners including the London School of Hygiene and Tropical Medicine), and a separate trial part of the endTB project (a partnership between MSF, Partners in Health, Interactive Research & Development, financed by UNITAID). Patients’ needs are at the heart of both trials, which aim to find treatments that are effective, short, contain no injectables, and have manageable side effects. MSF and partners are working together to pioneer a better, faster way to develop new TB treatments, known as the 3P project. This initiative will use innovative, collaborative approaches to finance and coordinate research and developement in order to hasten TB drug research, with the ultimate aim of delivering a one-month-or-less cure for all forms of TB that works for everyone, everywhere. 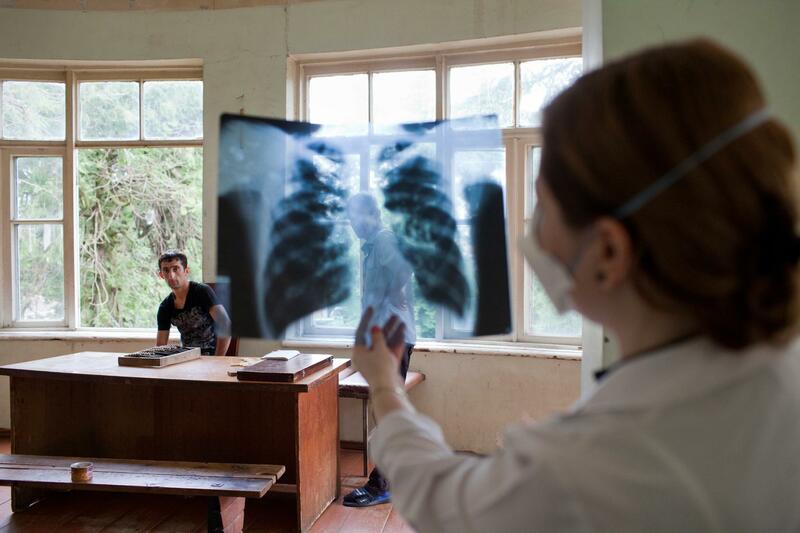 Multidrug-resistant TB is a mounting health crisis, but a new MSF initiative is making waves in Georgia. "Since I started taking this new medicine have had no problems. Now I feel so good." Akhmed Khojava is an inpatient at the National Centre for Tuberculosis and Lung Disease in Georgia’s capital, Tbilisi. Elizabeth was the first patient in Kenya to receive bedaquiline, a new anti-TB drug, for extensive DR-TB. After a two-and-a-half year battle she was finally cured and able to go back to work as a teacher. "It was the best day in that part of my life." However, Elizabeth experienced several side-effects including nausea and confusion, highlighting the need for clinical research to improve this treatment. From Wednesday 26 October to Saturday 29 October, MSF will attend the 47th Union World Health Conference on Lung Health. Media are asked to read our Media advisory before attending.